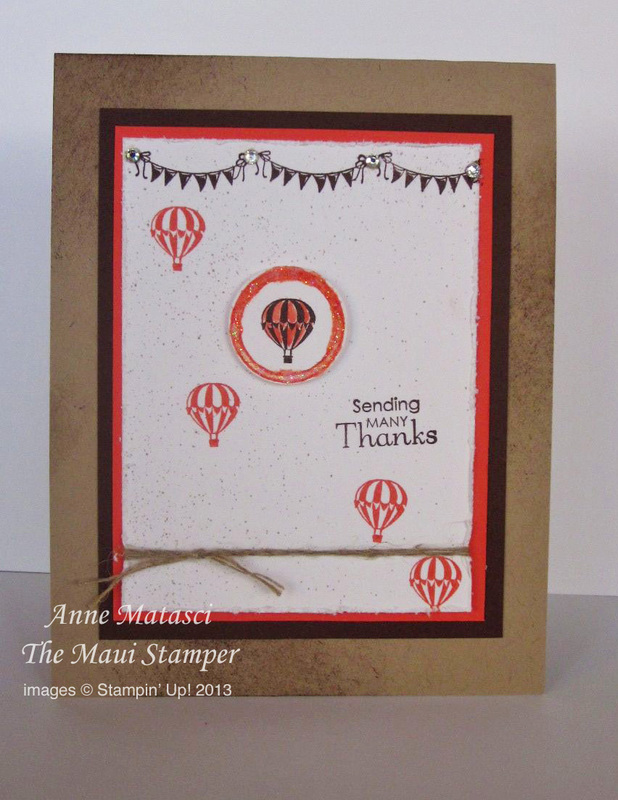 Welcome to the Collage Curios RemARKable Stamp of the Month tour! 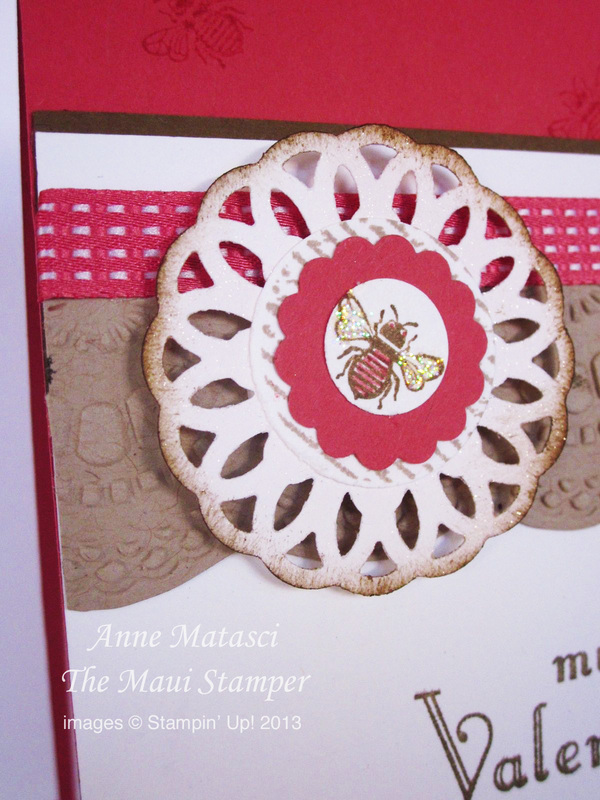 Whether you’re just beginning the tour here with the Maui Stamper or have been halfway across the USA with our many talented paper artists, I hope you’ll enjoy yourself today. Those of you in New England deserve a blog tour after strugging through all the weather that has come your way this weekend! I couldn’t stop at just one card! 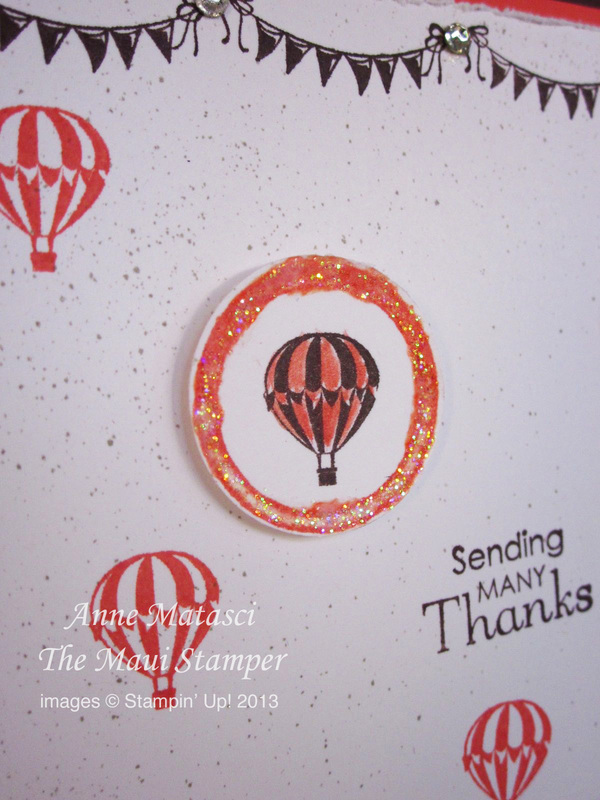 Now float on over to Robin Merriman’s Trinity Design Studios and see what she has come up with….she’s a talented stamper and I’m sure you’ll love wht she has done! Don’t forget to leave a little blog love (comments) as you do – all of these hard-working bloggers will thank you! I got it!! I got it!! Snort snort… hee hee snort. cute!!! 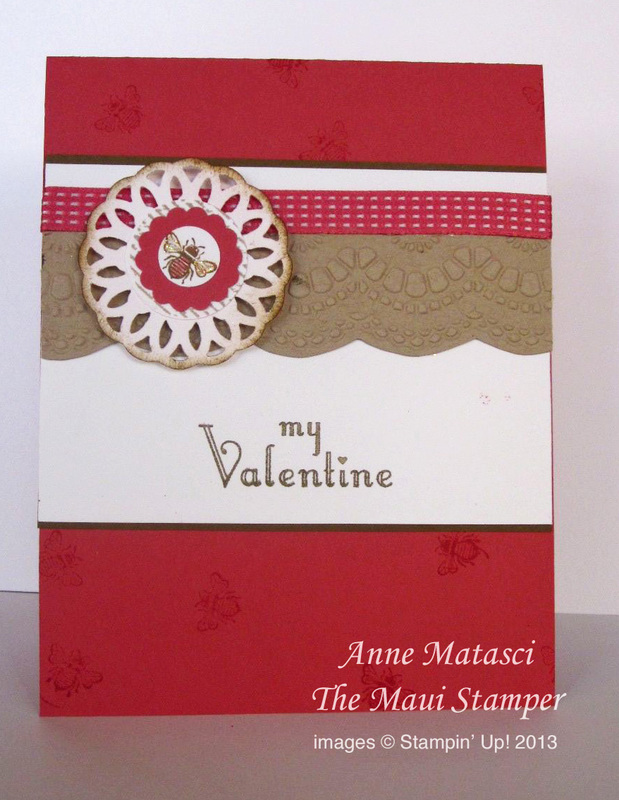 Anne – love the cards. AND love the photos of your beautiful family! Miss you. Miss you too Sharon. Thinking good thoughts that you will be back on Maui soon for a visit! Love your projects especially how you added Dazzling Details to the wings of the bee. Dazzling Details is a Mr. Maui Stamper Approved Form of Glitter and I should use it more often! Thanks, Susan! Ha ha ha!! and…float on over! Very cute cards & I love the bling!! The bees are the best! I love how our minds work the same way, and yeah, I’m partial to bees. And roosters. But this set didn’t have a rooster – too bad. Thank you, Donna – it was a beautiful day in so many ways. Carol and Clarence really worked hard on getting the details right, and they approached the day with a wonderful “let’s celebrate with the ones we love” attitude. With that in their hearts, the day was really joyful from start to finish.